“Advancing Storm” has brought us a new version of the Dagor engine - 5.0 and with it improved graphics, detailed landscapes and weather effects. 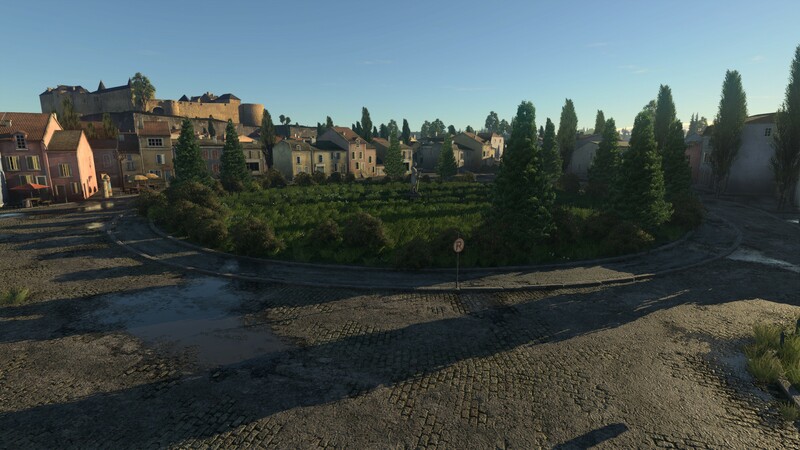 Locations are more beautiful and realistic, the sounds are more impressive and we have added two dozen new vehicles including five tanks at the 6th rank: Т-64B, M1 Abrams, Challenger, Leopard 2K and AMX-30 Brenus. 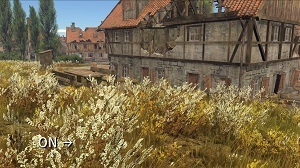 Dagor Engine 5.0 — a new version of the game engine brings War Thunder improved graphics and effects. 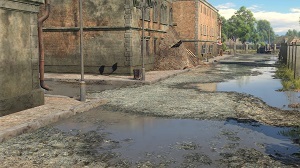 The effects of the bullets/shells hitting the water, ground and other objects has been updated. The traces of HE shells impacting the ground with .50 calibre and higher has been improved. The algorithm for the postFX “Polynom” has been changed. The maximum brightness when using this post-effect has been limited to 2 times the original. Will be available in the fleet testing in the future. A new (modular) principle for the formation of sound events for the shots of all guns (including machine guns, automatic cannons, MLRS and ATGMs) of ground vehicles has been added. New sounds for all machine guns on ground vehicles has been added. 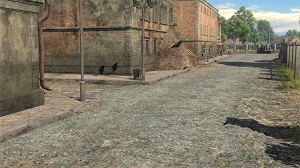 New sounds for all automatic cannons for ground vehicles has been added. The sounds of all guns on ground vehicles has been reworked. New sounds for MLRS on all ground vehicles have been added. Particularly on the BM-13 “Katyusha”. New sounds for ATGMs on ground vehicles have been added. Reverberation "tails" for the sound of firing on all guns (including machine guns, automatic cannons, MLRS and ATGMs) in order to hear the difference in calibre of the shooting gun have been added. This applies to both sides (enemy, friendlies and your own cannons). The dependence of the sound power of shots on all guns, MLRS and ATGMs on the density of the terrain surrounding the the vehicle. The closer and denser the buildings are, the longer will be the "tail" of the sound of the shot, and the more powerful sound the shot itself has. 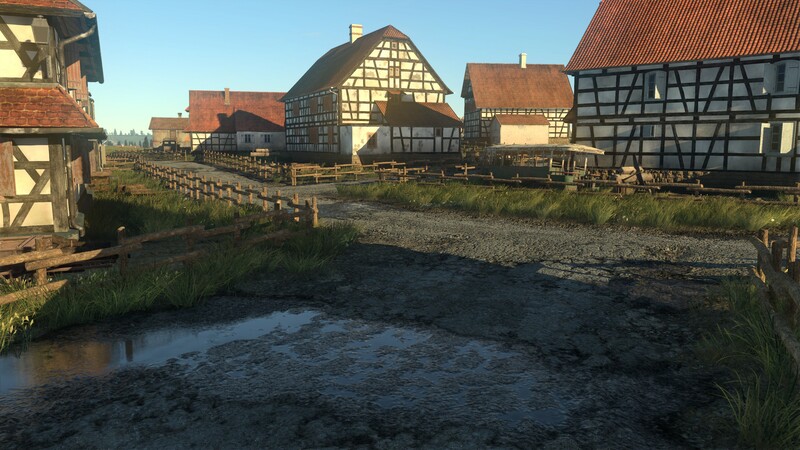 The effect of global reverberation for interior (cabin, turret) and exterior sounds (field, small buildings) for ground vehicles, aircraft and ships has been added. A clear difference in the sounds of all shots from the gunner's eye point (resonant turret box, mechanical parts, sleeves) and from third person view (rumbling, openness of sound) has been added for ground vehicles. The effect of occlusion (absorption of high frequencies and a drop in the volume of external sounds) of the gun turret/driver's cabin for ground vehicles from the eye point of the gunner/driver has been added. However, if the driver is in a closed cabin, and the gunner is in an open air position(or vice versa, in any combination) - this is accounted for by the effect. The dependencies of loudness of sounds of aircraft engines aircraft from distance to listener (player) have been reworked. Layers of ultra-low frequencies for explosions, cannon shots, crumbling structures and tank suspensions have been added. A new musical accompaniment for each nation in the hangar in game has been added. Also new music has been added for defeat and victory cutscenes. 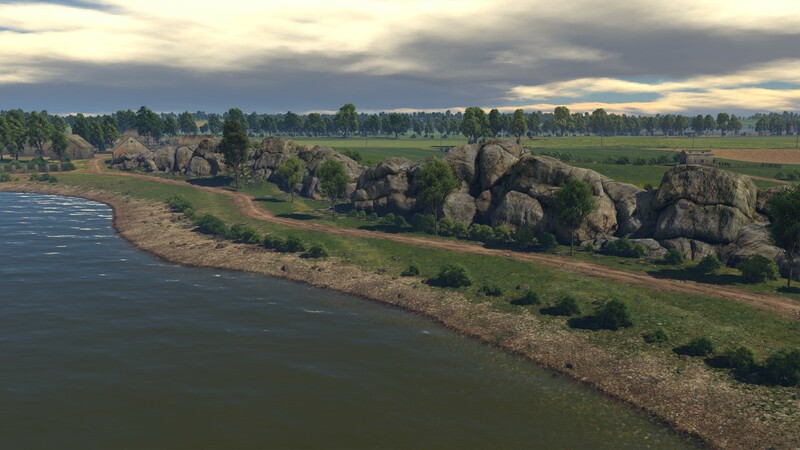 Balancing changes made to the location “Poland”: new village added to the Northeast with respawn zones in RB and SB battle modes; stone ridge added on the shore of the lake which covers respawn zone. Balancing changes made to the location “Eastern Europe”. New missions added to the rotation which include larger territories - "European Province", “Fields of Poland” and "Neighborhood Volokolamsk" with the locations “Eastern Europe”, “Volokolamsk”. New missions added which include larger territories - "European Province" and "Neighborhood Volokolamsk" with the locations “Eastern Europe” and “Volokolamsk”. Urban and rural part of the location “Maginot Line” has had significant detail added. New test flights for jet aircraft for the USA, Germany and Japan have been added. The collision model with falling bombs versus aircraft has been included (without initial explosion). In Arcade Battles mode, the collision can only take place with enemy aircraft. In Realistic and Simulation battles, a clash is also possible with your own aircraft and allied aircraft. As a result of the collision, the trajectory of the bomb flight will change, the aircraft's damage depends on the strength of the collision with the bomb. The opening of the bomb bay doors, regardless of the presence of suspended weaponry on external holders on condition that the presence of such weapons doesn’t interfere with opening the bomb doors has been switched on. A-26 (all modifications) - Aiming arcs for defensive armament has been corrected. MiG-3-15 (BK) - Ammunition has been changed to 280 rounds for the synchronous BS machine gun and 145 rounds for each wing mounted BK machine gun (source). Il-4 - A bug where it wasn’t possible to create custom camouflage for the aircraft has been fixed. Typhoon Mk.Ia - The ammunition for the machine guns of the .303 calibre has been changed. For the pair of external and internal guns it is now 500 rounds per machine gun and 460 for the central machine gun. PB4Y-2 - Pre-set without bomb load has been removed. Potez 631 - Possibility of separate dropping for 100kg bombs has been added. Me 410 A-1/U2, B-1/U2 - The display of weaponry modules in the X-Ray view has been fixed (source). Do 17Z-2 - Bomb pre-set with 4x250kg has been removed as per passport data. P-51(all modifications), F-82E - Armour has been corrected (source). La-5FN - Display of the rear armour plate in x-ray has been fixed (source). Do 217 E-4 - MG FF cannon has been changed to MG FF/M (source). He 111H-16 - MG FF cannon has been changed to MG FF/M (source). Spitfire series I, II, V and IX - Armour for the fuel tanks has been fixed (source). Potez 630 - The type of the aircraft has been changed to air defense fighter/Heavy fighter. Be-6 - The number of gunners in the crew card has been fixed (source). Pe-3 (all modifications) — Display of reload time for rockets and bombs on the crew card has been fixed. F6F-5, F6F-5N - The information regarding engines in X-Ray view has been fixed (source). Ki-102 - The icons for ammunition belt have been corrected (source). Hs 129B-2 - The dropping of the 4x50kg pre-set has been fixed. AD-4 (all modifications) — Bomb release order for the following bomb presets has been fixed: 1x1000lb + 2x500lb and 1х2000lb + 2х1000lb. D3A1 - Information regarding defence weaponry has been added (source). D4Y3 - Has been renamed to D4Y3 Ko (source). F8F-1, F8F-1B, P-38L-LO, A-36, PV-2D, SB2С-4, SB2С-5, SBD-3 - Suspension pods with DGP-1 machine guns have been added. P.108A serie 2 - The displaying of the number of gunners in the crew card has been fixed.(source). MiG-3 (all modifications) — The thickness of the rear armour plate has been changed from 6 to 8 mm (source). FW 190 F-8 — The thickness of the engine protection has been fixed. The outer ring has been changed from 3 to 6mm, for inner ring from 5 to 10mm. Su-6 (АМ-42) — The information about the armour on the fuel tanks has been fixed (source). P-36G Hawk — The description of the Wright R-1820-G205A engine in the X-Ray view has been changed from 14 to 9 cylinders. Boomerang Mk.I/Mk.II — The description of the Pratt & Whitney S3C4-G engine in the X-Ray view has been changed from 18 to 14 cylinders (source1)(source2). Swordfish Mk.I — The possibility of shooting through part of the tail fin with defensive weapons has been fixed(source). Il-2M (all modifications) — The possibility of shooting through part of the tail fin, fuselage and stabilizer with defensive weapons has been fixed (source). Il-10 (all modifications) — The possibility of shooting through part of the keel, fuselage and stabilizer with defensive weapons has been fixed. B7A2 — The possibility of shooting through part of the stabilizer with defensive weapons has been fixed (source). Il-28, Tu-14Т, Kikka — Rocket boosters have been added. For italian aircraft that are in the German research tree, the voice dubbing has been changed to a German one. Armour piercing value for the Panzerblitz II rockets has been corrected. The mass of the AP Mk I and AP Mk II rockets has been fixed (source). Characteristics for the S-21 rockets has been fixed (source). Individual launching has been added for Type 5 No.6 Mod.9 rockets. Bomb pre-sets for the Japanese army and naval aircraft have been fixed (source). The name of the 250kg Type 98 Num 25 bomb has been changed to Navy Type 98 Num 25 (source). Characteristics of the Type 2 Nominal 50 Mod 1 bomb have been fixed. The recommended speed for release of the 18-inch Mark XV torpedo has been changed to a maximum of 443 kph (275 mph) and the recommended altitude for release to 122 m(400ft). The universal Berezin machine gun is now divided into three main types: UBS, UBC & UBT (source). Ammunition for "air targets" for 20mm AN/M2 and AN/M3 cannons has been added. Characteristics for 30mm shells on the Mk.103 cannon have been corrected as per technical data sheet. MG 151/15, MG 151/20 - the mass of the cannons has been fixed (source). 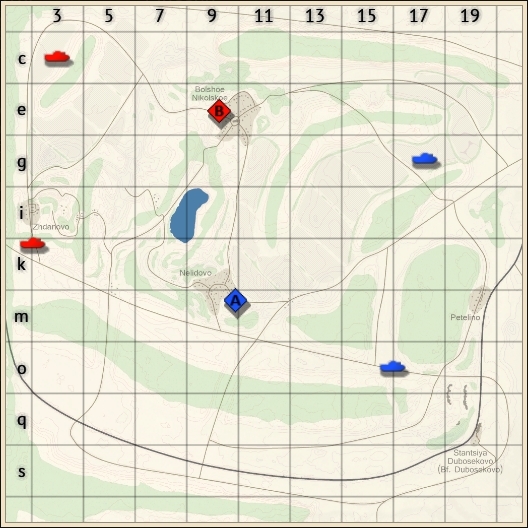 SPAAG with radar (ZSU-23-4, М163, FlakPanzer Gepard and Type 87) - Sighting assist system in the form of a lead marker (as used in arcade) has been added. To switch it on you need to first lock the target by pressing “Select target” after that you will see the lock frame and lead marker. Leopard 1, Leopard A1A1, M46/M46 Tiger, M47/mKPz.47, M48A1, MBT-70/KPz-70, M60/M60A1 (AOS)/M60A1 RISE (P), T95E1, STB, Type 74, Centurion Mk.10, Vickers MBT, T-54 all, T-55A, T-62, IS-3, Object 906, FV4004, Conqueror, Object 268, Object 120, SU-122-54, AMX-30 all, Chieftain all. M60A2 - A bug with presence of inaccurate weak zones in the area between the cannon mantlet and turret has been fixed. M60A1 AOS - The weakened zone in the optics area in the cannon mantlet has been removed. M60 - A bug with the presence of inaccurate weak areas between the turret and the hull has been fixed. M47/mKPz.47 - The armour layout has been updated (source). M48A1 - A bug with the presence of inaccurate weak areas between the turret and the hull has been fixed. The armour layout of the turret has been updated (source). Centurion Mk.10 - A bug where there were inaccurate weak areas between the turret and the hull have been fixed. Chieftain Mk.3/5/10 - A bug where there were inaccurate weak areas between the turret and the hull have been fixed. Jagdpanther // Bfw.Jagdpanther - A bug where there were inaccurate weak zones in the area between the cannon mantlet and turret have been fixed. M48A1 - A bug where the driver camera has been rotated in synchronisation with the turret has been fixed. Begleitpanzer 57 - A bug related to the presence of zones which can be shot/damaged easily by shooting the turret armour has been fixed. Begleitpanzer 57 - The parameters of vertical guidance for the TOW launcher with angles -6/+20 has been added. The value of the multiplicity of the sight has been specified equal to 4/12 (regular/zoom). Source: Henschel Wehrtechnik Waffensystem Begleitpanzer 57mm, Thyssen-Henshel, Bofors. Begleitpanzer 57 - I-TOW ATGM has been added to the ammunition. FV4005 - The effect when firing from the cannon and the effect of shells hitting have been changed. Type-87 - Hull destruction effect has been added. Ru 251 — The effect of hull destruction has been added. M551— The effect of hull destruction has been added. T92 — The effect of hull destruction has been added. Object-906 — The effect of hull destruction has been added. Object-120 - A bug where destroying the engine and transmission caused no hull destruction effect. Tortoise - A bug with the paired machine gun where the tracer appeared between the barrels has been fixed. FV102 Striker - A bug with lack of damage model for launcher mechanism has been fixed. 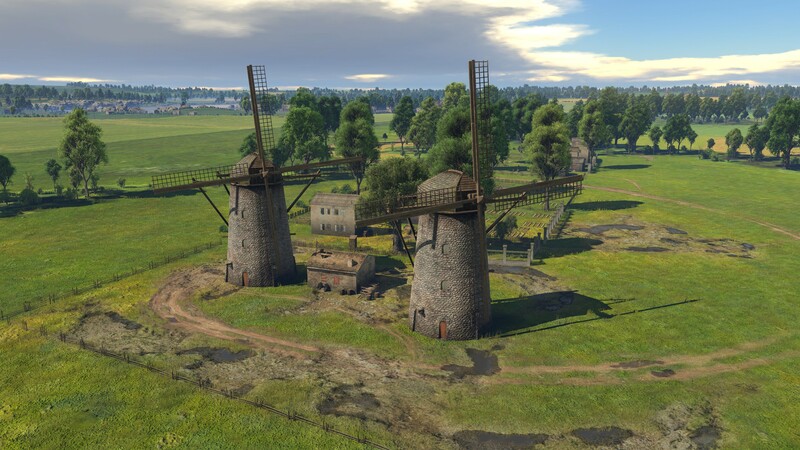 CA Lorraine - A bug where 3d decorations could be placed on wheels and exhaust pipes has been fixed. Suspension elements have been added to damage model. M4A5 Ram II - The firing flash display on anti-aircraft machine gun has been fixed. ZiS-30 - A bug with the rotation of the cannon at 90 degrees when it has been destroyed has been fixed. KPz-70 - A bug with the armour of the gun cradle has been fixed. Previously it didn’t rotate with the turret. A bug with inaccurate armour values being applied has been fixed. The armour layout of the vehicle frontal armour (hull, turret and mantlet) has been refined. Bugs with the presence of inaccurate weak zones in the area of the cannon and mantlet have been fixed. Т-26 (1940), Т-26 (1 Gv.T.Br.) - The ammunition placement in the vehicle has been clarified. Source: “Т-26. Руководство службы”, 1940 //М.Коломиец, М.Свирин - “Фронтовая иллюстрация 1-2003 - Лёгкий танк Т-26 1931-1941”. Vickers MBT, M10 - The material of the hanging tracks with "rolled homogeneous armor" has been changed to "tracks". ARL-44 - A bug related to the lack of reloading speed effect of the cannon dependant on the crew skill has been fixed. Jagdpanzer IV / IV/70(V) - smoke grenades added. Cromwell Mk.I / Cromwell Mk.V - A bug where smoke grenades could not be reloaded at captured points has been fixed. 40mm HE-T: speed has been changed from 874 to 1005 m/sec, type of the explosive mass has been changed from “tetril” to “torpex”, the mass of the explosive mass has been changed from 25 to 100 gram, the mass of the shell has been changed from 860 to 960 gram. 40mm AP-T: speed has been changed from 874 to 1025 м/sec, the mass of the shell has been changed from 882 to 930 gram. Source: Jane's Ammunition Handbook, 2002 // Gander, T. “The Bofors gun”, 2013. M36 - The mass has been changed from 30 to 28.1 tons. Source: Catalogue of Standard Ordnance Items, second edition 1944, volume I.
Valentine Mk.I - The engine power value has been reduced from 165 to 135 horsepower. Source: The Royal Armoured Corps Tank Museum. Tanks 1919-1940, The Interwar Period. The Royal Armoured Corps Centre, Bovington, Dorset. Ammunition has been changed from 600 to 1200 rounds. Crusader AA Mk.II — A bug with incorrect visualization of the recoil for the Oerlikon cannon has been fixed. Т-64А - 3ОF26 HE shell has been changed to the 3ОF19. Ammunition has been changed from 147 to 104 rounds. The mass of the vehicle has been changed from 15.6 to 14.88 tonnes. Values of vertical guidance angles have been changed from -12/+20 to -10/+25 Source: Catalogue of Standard Ordnance Items, Second Ed. Vol.1 1944. StuH42, StuG III G, KV-2 (1940), KV II 754r, M48A1, Ostwind, M3 Lee, FV4202, T-70 (1942), Т-80, GaZ-DSHK, Pz.IV C, Pz.IV/70(V), T-26-4, ASU-85, Black Prince, Comet Iron Duke, КВ-1 (Л-11), КВ-1Э, KV-IB, FV4202 - The order of the ammunition usage has been clarified. Source: Questions of defense vehicles, 1976. Vol. - 67. Chi-Ri II - The display of the icon regarding the effect of armour-piercing shells has been corrected. Type 60 ATM - A bug where aiming was impossible after knocking out the gunner has been fixed. The DM23 shell has been added to the ammunition. Rangefinder modification has been replaced with similar but upgraded version of the modification. The upgraded version of the rangefinder provides distance measurement quicker and with less error. Object 906 - Hull break mechanics have been added. AMX-30 (1972)/AMX-30B2 — Fire rate has been changed from 8 to 9 shots per minute. Source: “Kampfpanzer Leopard” - Heraugegeben von Raimund Knecht. J.F. Lehmanns Verlag München. Nr.6/7 “Internationale Wehr-Revue”. M60/M60A1 (AOS)/M60A1 RISE (P) — Fire rate has been changed from 7,2 to 9 shots per minute. “Kampfpanzer Leopard” - Heraugegeben von Raimund Knecht. J.F. Lehmanns Verlag München. Nr.6/7 “Internationale Wehr-Revue”. Leopard/Leopard A1A1 — Fire rate has been changed from 8 to 9 shots per minute. “Kampfpanzer Leopard” - Heraugegeben von Raimund Knecht. J.F. Lehmanns Verlag München. Nr.6/7 “Internationale Wehr-Revue”. 90mm T320 - The shell mass has been changed from 5 to 3.6 kg. Source: Penetration performance of a series of T320e10 Arrow Projectiles, April 1956. 8.8 cm Pzgr.40 (KwK.36) - Shell speed values have been changed from 1000 to 930 m/sec. Source: Dokumentation W 127: Datenblätter für Heeres-Waffen, Fahrzeuge, Gerät // Waffen-Arsenal, Special Band 16, Die Deutschen Kampfwagen Kanonen 1935-1945. The explosive mass from 3 to 2.45 kg. Range from 3750 to 3000 meters. Mass from 18.9 to 18.8 kg. Projectile speed from 278 to 299 m/sec. MGM-51B/C - A bug related to launch and cruising flight speed of the rocket has been fixed. Wing, fuselage and tail aerodynamic characteristics corrected. The amount of fuel and weapon load now affects the center-of-gravity more correctly. Maximum speed of landing gear retraction updated. The aerodynamic characteristics of the wing, fuselage and tail have been corrected. Maximum speed of landing gear retraction has been corrected. Wing geometry updated, balance at minimum fuel load updated. Wobbling in mouse aim control mode has been reduced. Instructor opens radiator in advance for more efficient cooling. Depending on the aircraft modification weight has been reduced for 8-10 kg. A bug where the aircraft could not reach its maximum overload at medium speed has been fixed . Inertia recalculated, as well as gunpod influence (resistance recalculated). Characteristics are now relevant to the data sheet. Stability increased for all flight modes. Engine power near ground has been increased by 80 h.p. “Injection” modification has been added. Completely new up to date thermodynamics within limitation of the engine cooling at low speed. The aircraft polar, wing sweep and other parameters which do not affect aircraft performance characteristics but more precisely set the correct behavior of the aircraft according to the reports have been recalculated. The calculation of inertia has been completely updated according to the catalog of parts of the aircraft. All characteristics are combined in new data sheets: MkI, MkII. WEP +12" added (“injection” modification added). WEP +16" added with limited time for use. The calculation of inertia has been completely updated according to the catalog of parts of the aircraft. Engine critical altitude changed. Inertia recalculated. Rudder sensitivity performance change at high speed updated. This will allow a reaching of maximum overload faster but not exceed it. Propeller polars have been recalculated which will permit slightly better acceleration at lower altitudes. Thermodynamics have been updated in terms of overheating in non-combat modes of flight. A new function regarding the dependence of cooling adequacy at low speeds (for example, on turning) has been added, especially for the rear-engine that receives less cooling. A0 - the GM-1 system is installed in the form of two additional stages of the supercharger and the weight of the afterburner mixture included in the total weight of the fuel. B2 - The GM-1 system has been replaced with the MW-50 afterburner system for installed Db-603EM / FM engines with the 2250PS forcing power at the ground, which allows a rise in speed at sea level to 640 km/h. A bug where it was possible to use an un-historical non-existing arrestor hook has been fixed. Inertia moments have been increased. Inertia moments and the maximum permissible overload have been increased. The thermodynamics has been updated. The efficiency of the cooling system at low speeds has been reduced. Longitudinal stability has been reduced. Excessive drag in slipping has been fixed. The indication of power in the aircraft card has been corrected. Initially configured according to the data sheet. Due to the release of update 1.77 and the reworking of the collision model with new terrain technology, all custom assets (included custom hangars) need to be optimized. You can wait until the authors have updated the content on War Thunder Live or just download the latest CDK version and reload (download and upload) assets/missions, hangars and other content. The basic textures for some ground vehicles have been changed. In the config of the custom camouflage you will need to change the name of the texture according to the list or download the camouflage from LIVE once again. Additional winter camouflages for US, British and German ground vehicles have been added. 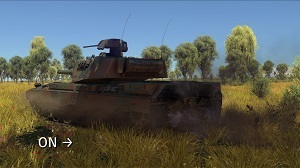 Decals for French vehicles can now be unlocked by the completion of tasks has been added. New achievements for French aircraft and ground vehicles have been added. 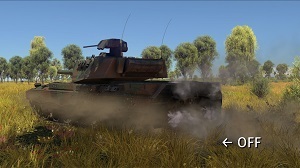 Chieftain Mk.3 and Chieftain Mk.5 - Have been grouped into one group in the British research tree for ground vehicles. Panther A and Panther G have been grouped into one group in the German ground vehicles research tree. BB-1 - Has been moved in the research tree to the Su-2 group. SB 2M-105 - Has been moved in the research tree to the SB group. Squadron squads - the opportunity to open a list and send an application to squads whose leaders are members of your squadron. A bug with work of the modification “air strike” in RB, where the reduction in the cost for respawn on the aircraft was dropped when losing the ground vehicle with this modification has been fixed (source). This modification will allow an additional reduction for aircraft spawn cost for each scouted player killed by an ally in game modes with respawn points. 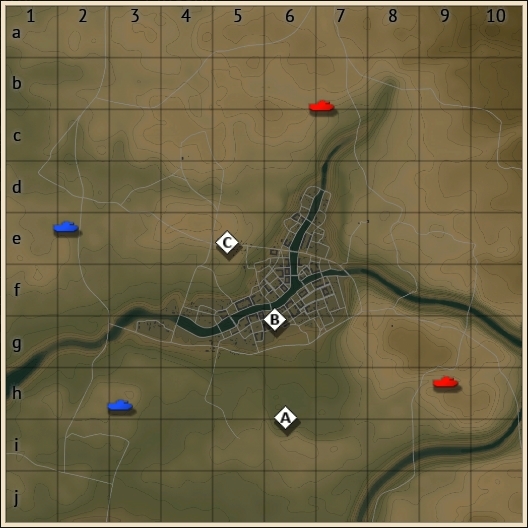 On the 6th rank (BR 8.3+) new ground vehicles for the enemy AI have been added. Frequent pressing of the air strike feature in ground AB will result disabling of feature for a cooldown period. In all [Operation] missions, except for missions for beginners, respawn points for attackers in the air have been moved closer to the purposes of the mission. In all [Operation] missions bombing zone durability now depends on the number of respawns available for players (for normalisation of LOBBY mode and for events where more than one respawn is switched on). New: backup/restore Control Presets to Save Data. PS Camera/Head Tracking: bug fix that prevented "looking at six" with head rotation. PS Camera/Head Tracking: allow sensitivity boost for improved responsiveness. PS Camera/Head Tracking: new button binding for resetting tracking position. PS Camera/Head Tracking: option to fix camera pivot point while in third-person view. PS Camera/Head Tracking: option to disable head translation tracking (left-right and up-down) and instead use respective axes if they are bound in settings. The trajectory of the camera moving around the vehicle in hangar has been changed. Launching the game with DirectX 9 is no longer possible. We ceased support for DirectX 9 some years ago. The current minimum system requirements are published on the “System Requirements” page. The bug on ground vehicles where selection of the secondary cannon caused the horizontal and vertical movement being blocked has been fixed (source).